Now that Mother’s Day is behind us, it’s time to start thinking about gifts for dear old Dad! Our tradition is to make something handmade for my husband’s office. A few years ago we made POP Magnets for Father’s day that were a big hit. 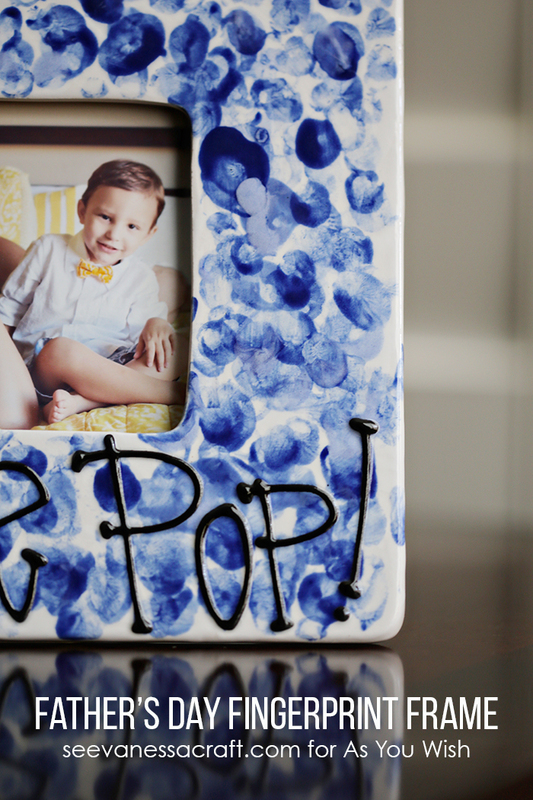 This year, we headed into As You Wish for some Father’s Day inspiration and my son came up with the idea to paint a frame for his Pop. We skipped the paint brush and got a little messy with our fingers (because that’s way more fun, right?). Painted solely with hundreds of tiny fingerprints in Dad’s favorite colors, I love how our fingerprint frame turned out! This project is perfect for multiple sibling and simple enough for younger children to do! 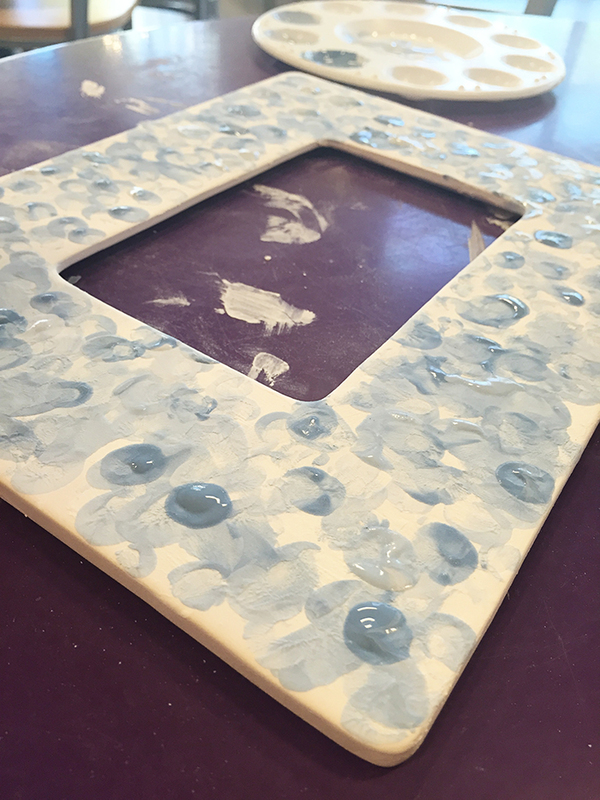 Head into As You Wish with your child and have them paint a pottery frame with white paint as a base coat. Have them pick 3 other colors, we went with different shades of blue, and squirt a little of each color in the paint trays. 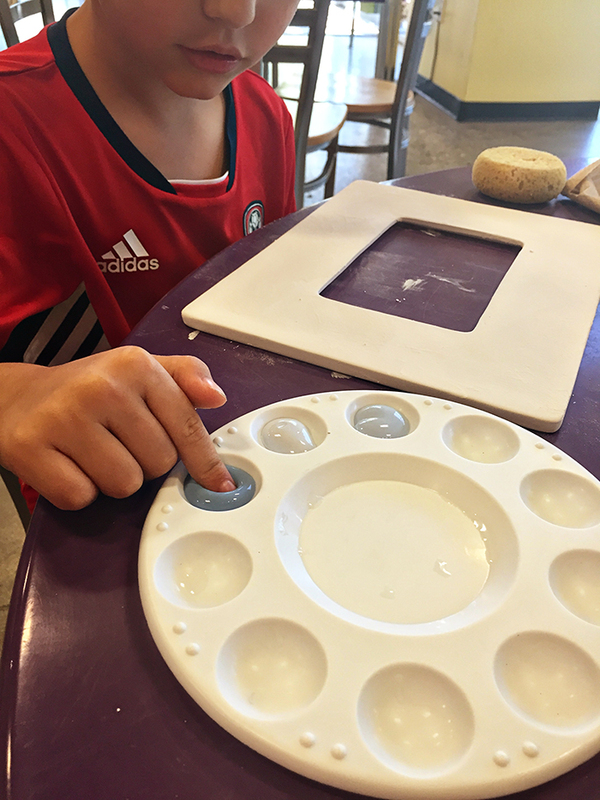 They can then dip a finger into the paint and place their painted finger on the frame. Continue until the entire frame is filled with paint fingerprints. Younger children may need some adult assistance to cover the entire frame. 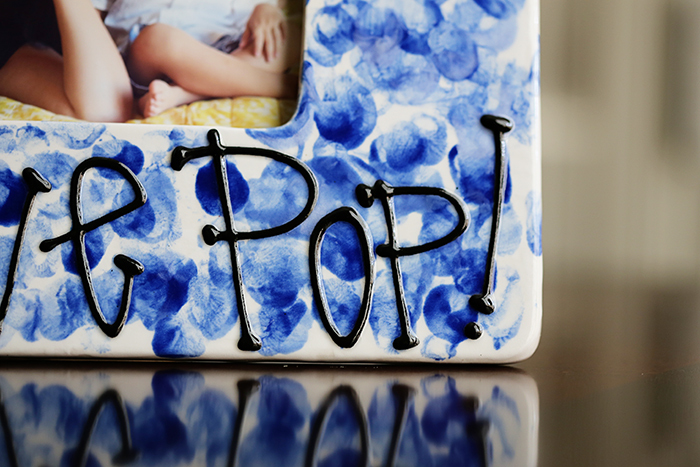 Once the frame is totally covered, you can write “We Love Pop!” on the bottom of the frame. We had the talented As You Wish staff do the writing for us with puffy paint. Once the frame is fired in the As You Wish kiln, place Pop’s favorite photo inside. 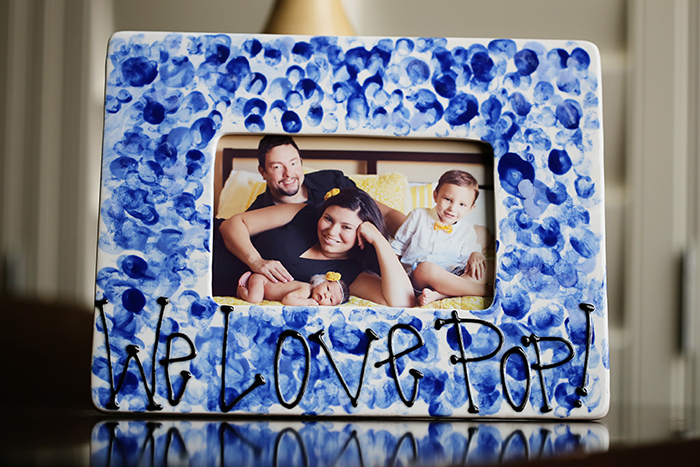 What colors would your child use for their Father’s Day fingerprint frame?